Free Delivery for Prime Customers. Pay On Delivery option available. 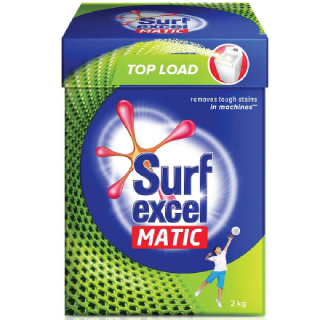 Amazon Sale - Buy Surf Excel Matic Top Load Detergent Powder, 2 kg at Rs.291 only. This offer is valid for all customers. This product worth Rs.432. No Amazon coupon code required. Get free delivery on order above Rs.599 or more. Tough stain removal in machine with Surf excel matic. Limited period offers so buy now. Select the destination of your choice.